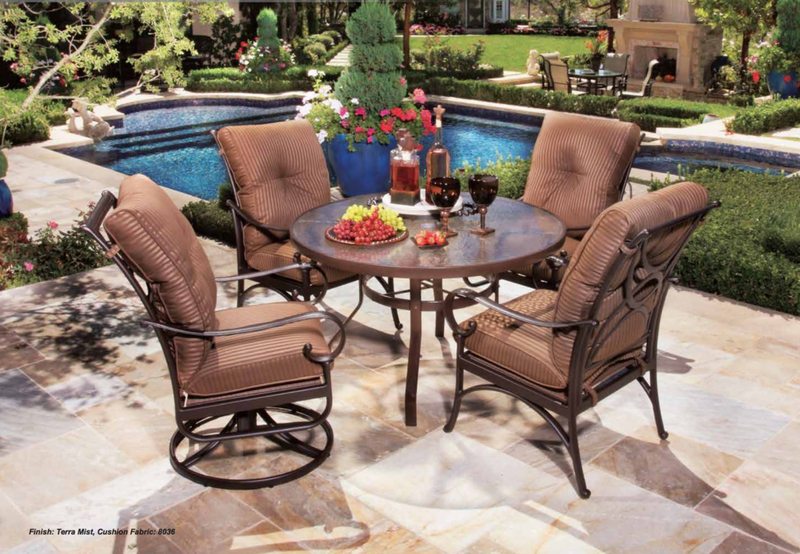 Hanamint's elegant Santa Barbara collection features a powder-coated aluminum frame with scrolled arms and deep cushions made from durable Sunbrella fabrics. Hanamint cushion collections exclusively use Sunbrella® outdoor fabrics to create a durable, long lasting,style statement for your outdoor world. Whether you prefer cushions, pillows or our sling upholstered options, you will be amazed at the selection of colors and patterns available for you to customize your furniture.